Postcards and Letters: Stamps! What else? On March 24 2012, the U.S. 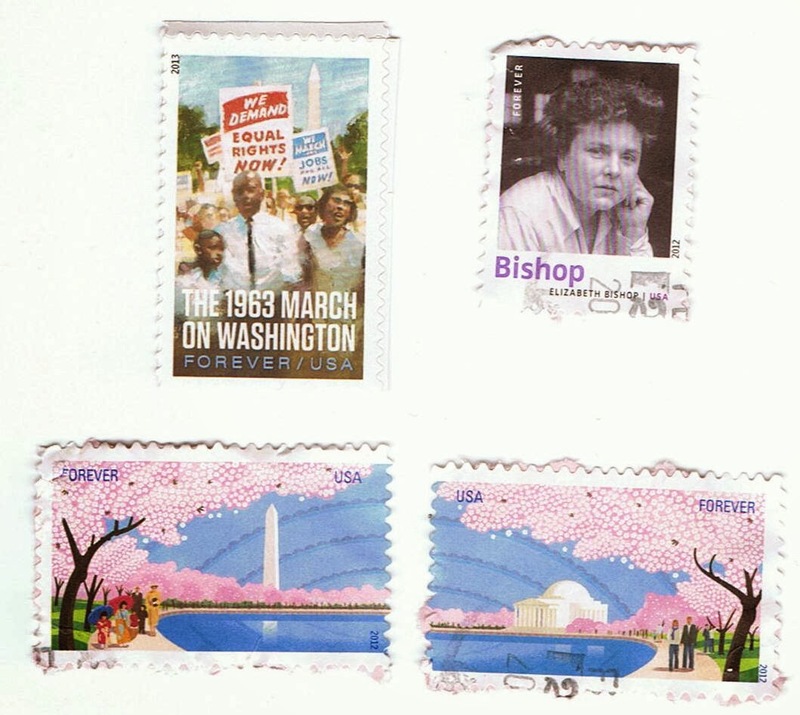 Postal Service marked the 100th anniversary of a gift of 3,000 flowering cherry trees from Japan by issuing two commemorative postage stamps that together create a panoramic view of the iconic trees in full flower around Washington’s Tidal Basin. The cherry trees were a gift from Tokyo Mayor Yukio Ozaki to President William Howard Taft in 1912. First lady Helen Herron Taft and Viscountess Chinda, wife of the Japanese ambassador, planted the first two trees on the north bank of the Tidal Basin on March 27 of that year. Jij hebt dus ook dat probleem! Ik dacht dat het aan mij lag!